"My coach has been invaluable. Yes, it’s partly about the accountability of sending in a daily food diary (that helps me focus), but it’s mainly about the support and encouragement"
Never really had any problems with food other than eating too much of the wrong things! Didn’t like to see photos of myself as I didn’t like the way I looked. taken me 40 years to learn what to eat to get to that shape so no way was it only going to take 12 weeks to learn new habits. I only signed up when Joe & James said they would coach me for as long as I needed it – partly because I didn’t know how long I would need and partly because I felt I could blame my coach if it didn’t work for me! And I decided that I’d quite like to see my Adams Apple again, to catch up and see how it was getting on. As you can see, it was quite well hidden. So, I’ve now been on the plan with a coach for 6 months. And this is me now. So, still some way to go, but I’m getting there! It’s been much easier than I expected, mainly because I’ve never stopped having a coach. I’ve seen lots of comments on the Nation from people who did the plan for 12 weeks, went on their own and while some have maintained or continued to lose weight, many seem to have put some weight back on. And I don’t want to do that, I’m tired of trying to lose weight regularly, achieving short-term success only to find it creeps back on as soon as I lose focus. My coach has been invaluable. Yes, it’s partly about the accountability of sending in a daily food diary (that helps me focus), but it’s mainly about the support and encouragement. I never look for my daily score now as it’s always 10/10. Instead, I look for the hints and tips such as “time to increase your water intake now”, “think about having more green veg” and “how about increasing your exercise”. 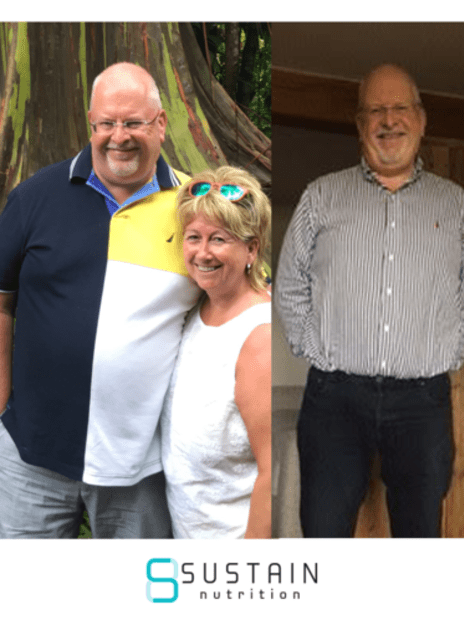 Every time I’ve taken their advice it has worked – and that’s why I’ll continue to use a coach until I’m happy with my weight and have maintained it.